Since childhood, Dr. Pannu’s goal was to help people in need. When someone was injured or stressed, she felt an overwhelming urge to assist them in any way possible. She attended Simon Fraser University where she earned a Bachelor of Arts in Psychology and a minor in Early Childhood Education. Her older brother, already a chiropractor, made her realize she wanted the same type of gratifying career. The idea that the body could heal on its own, without needing drugs or surgery, was intriguing to her. She wanted to give people an opportunity to learn about their natural healing abilities without medication and other external influences. Dr. Pannu earned a Doctor of Chiropractic from the University of Western States in Portland, Oregon, graduating in 2008. She opened Back & Body Wellness Centre shortly after, focusing on families and treating all ages. Over the years, she has become more passionate about what chiropractic can do for others and enjoys sharing her knowledge with patients. To learn more, Dr. Pannu has taken courses with the International Chiropractic Pediatric Association (ICPA). Her knowledge includes a wide range of pediatric and gynecologic disorders such as breech position, intrauterine constraint, colic, birth trauma, scoliosis and more. She is also certified in the Webster Technique. Additionally, Dr. Pannu is certified in laser therapy and Active Release Techniques®. 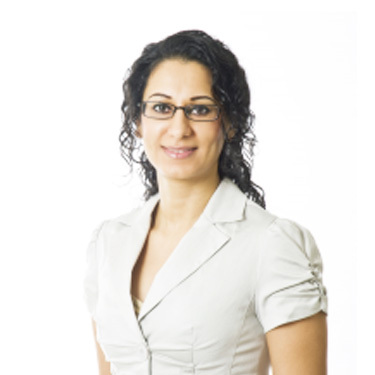 She is a member of the Canadian Chiropractic Association and the British Chiropractic Association. Dr. Pannu’s life is family-oriented, and she spends her spare time with her loved ones, including a daughter and son. They like to be outdoors, often going to the beach or spending time near the water and having family movie nights. Traveling is another of Dr. Pannu’s passions. Her favorite place to visit so far has been Peru thanks to its rich history, beautiful countryside, the ruins of Machu Picchu and the friendly, humble people that live there. Contact our Surrey team today to learn more about what we may be able to do for you.